People who often sunbathe or use tanning beds are more likely to try risky weight-loss methods and have cosmetic surgery, as well as get tattoos and piercings. But while people who seldom tan also may try unsafe diets and cosmetic surgery, they rarely opt for tattoos or piercings, according to a Baylor University study. 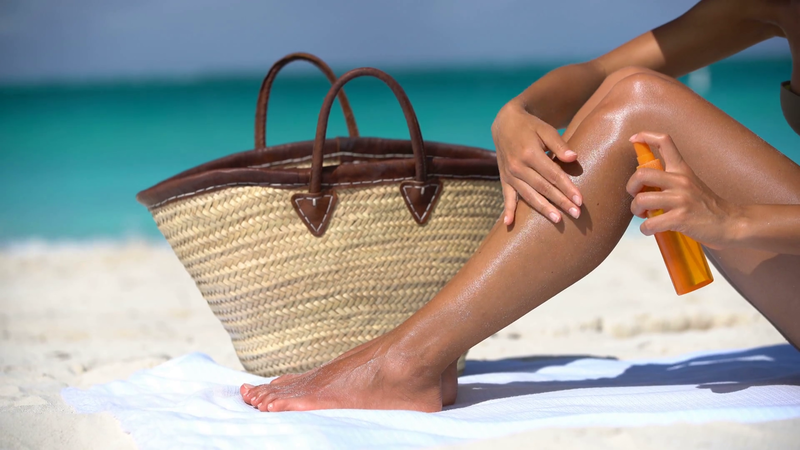 “When compared to infrequent tanners, frequent body-tanners — regardless of whether they are tanned by ultraviolet light from the sun, ultraviolet light from a tanning bed or methods such as tanning sprays that do not involve UV light — showed significantly higher behavioral intentions to engage in risky appearance-related behaviors overall,” said Jay Yoo, Ph.D., associate professor of family and consumer sciences in Baylor’s College of Health and Human Sciences. “Safer tanners, on the other hand, are more concerned about modifying their bodies in ways such as tattoos and piercing that may carry a stigma,” Yoo said. Most skin cancer prevention campaigns have emphasized avoidance of getting sunburned, reducing UV exposure and applying sunscreen, but they have neglected the individual’s experience with social and appearance concerns, he said. But “Excessive tanning can serve as a possible sign of overt concern over body image, with vulnerability to greater health risks,” Yoo said. His research article — “A Study of the Relationships between Tanning Methods and the Intention to Engage in Risky Appearance-Related Behaviors” — is published in Family and Consumer Sciences Research Journal. Data for the study was collected from an online survey of 395 female college students in the southern United States. The major contributor to skin cancer is frequent exposure to ultraviolet rays, with skin cancer the most common — and one of the most preventable — types of cancer, according to the American Cancer Society. Ironically, previous research has found that many people choose to tan because they believe a tan makes them look thinner and more fit, Yoo said.